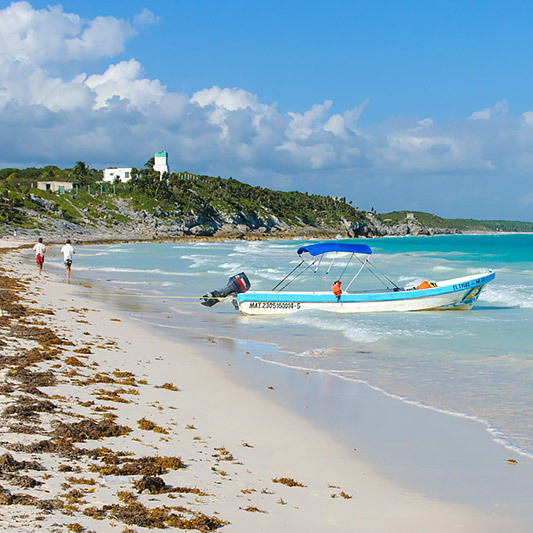 Tulum has a friendly, laid back atmosphere and is much more compact and welcoming than the larger, more commercial resorts of Cancun and Playa del Carmen. Tulum has one of the most beautiful beaches in the world and is becoming increasingly fashionable as a plethora of celebrities have chosen to holiday here. 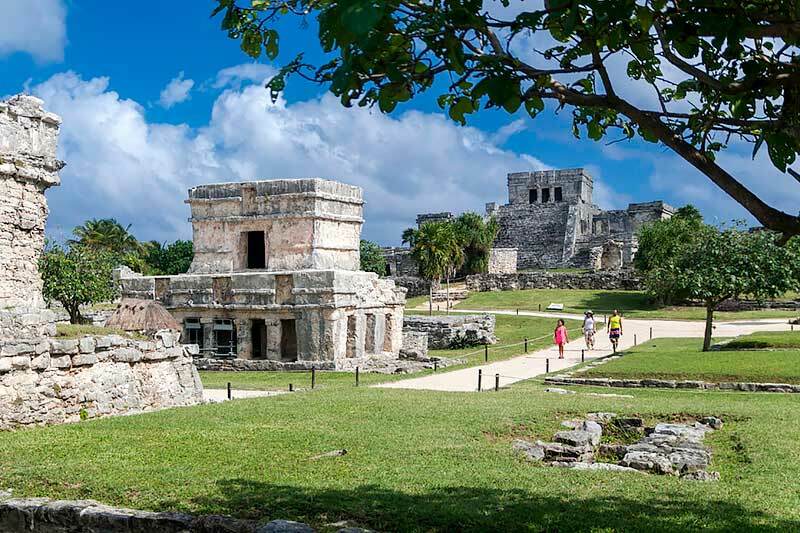 There are 3 distinct parts of Tulum – the beach, the Mayan ruins and the Pueblo, where Underworld is located. We can arrange a host of different activities and tours in addition to the excellent diving and snorkeling here. 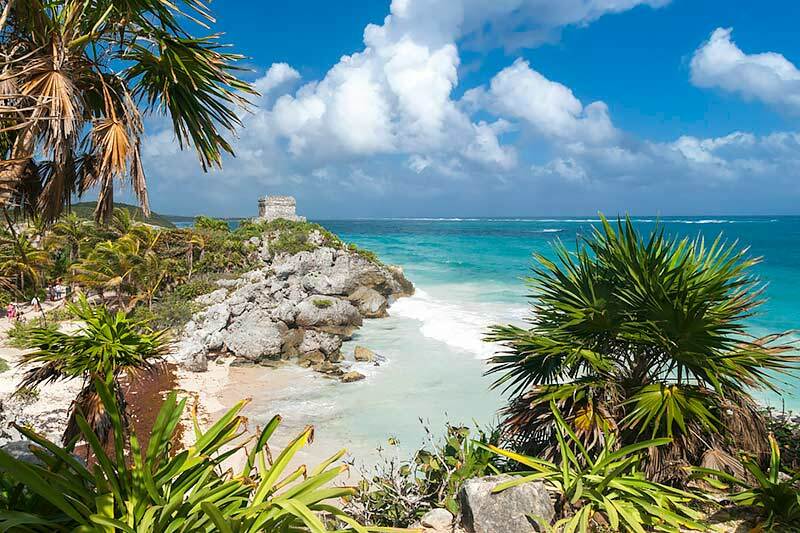 Tulum is home to some of the best Mayan ruins in Mexico, located in a stunning location right on the beach. The tallest pyramid in the Yucatan at Coba is less than an hour away and is definitely worth a visit as it is one of the few pyramids you can still climb. 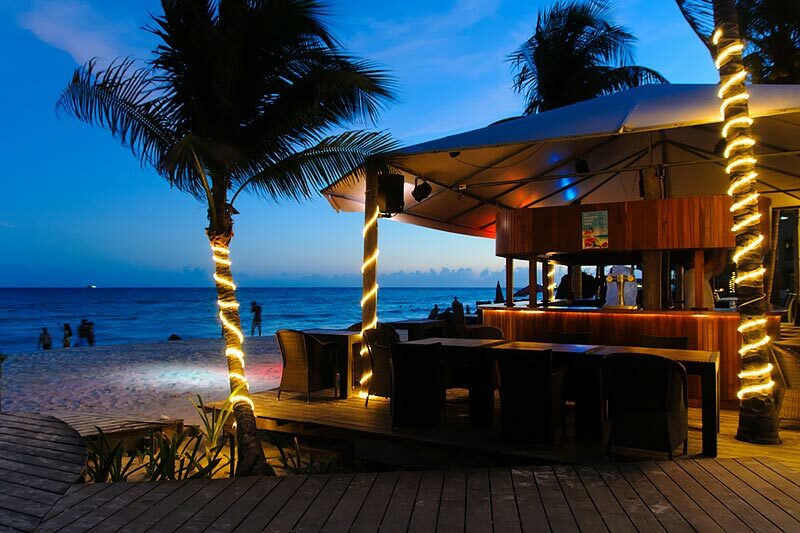 There is a fantastic selection of restaurants in the town and on the beach, with a wide variety of different cuisines from traditional Mayan to modern European, making full use of the wonderfully fresh meat, vegetables and seafood available locally. We are enthusiastic foodies and can recommend a restaurant for every occasion and palate. This link gives an insight to a good selection of restaurants. The closest airport is Cancun International, and flights are available from most major US hubs and European airports. From the UK, Virgin Atlantic, British Airways, Thomas Cook, Thomson and Condor all fly direct to Cancun. Tulum is 130km south of Cancun and the transfer takes about 1 hour 40 minutes. We can arrange transfers from the airport to Underworld HQ for individuals and groups.